I recently had the opportunity to chat with the CFO and President of ViZn Energy, Craig Wilkins, as well as one of the company’s advisors, Greg Hayes. It was a very interesting discussion and it looks like ViZn Energy. 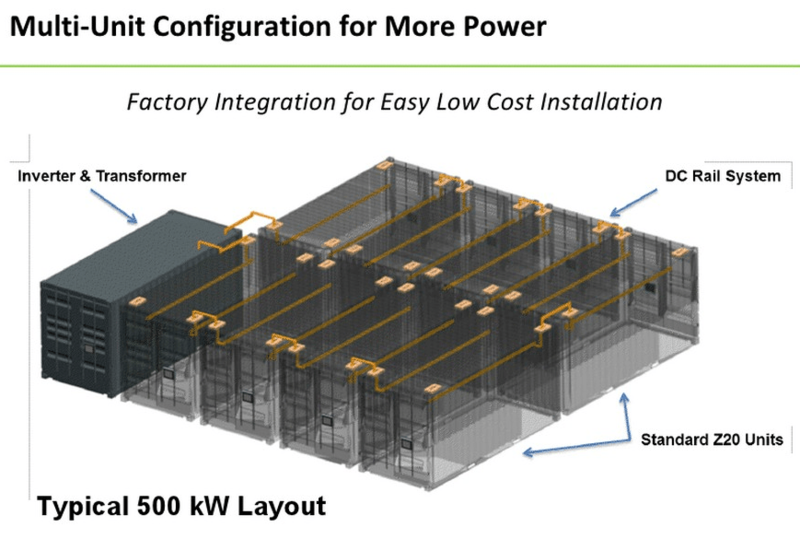 has what could be a very promising grid storage technology, and the technology is just about ready for market. As always, we will have to see how the market responds. However, for now, below is a bit of info for you to chew over. Despite its wide array of claimed benefits, you probably haven’t heard about this company before. The reason, according to Hayes, is that they haven’t had to go the megaphone-advertising, attract-investors route — the startup has been funded by a handful of wealthy individuals. ”We’ve been able to raise a lot of capital through private, high-net-worth individuals,” Hayes added. And I could hear the gratefulness in Hayes and Wilkins’ voices. They are well aware of the fatigue investors, experts in the field, and the broader public have from overhyped technologies that never make it to market. As noted at the top, ViZn Energy. (ViZn Energy) is just about 6 months out from its technology being used in its first commercial project. As such, the company is coming out from under the radar more. The company is looking at international markets as well as the US market. In particular, due to Germany’s relatively high level of renewable energy penetration (and renewable energy competitiveness), it is a key market ViZn Energy is looking at, and it has had a lot of discussions with key firms there. It has also had a lot of discussions with various Indian groups. Solar is now cheaper than fossil fuels in India, a lot of people are still without electricity (or reliable electricity) there, and there is a large governmental push for solar and wind power growth. I would think that India is one of the most attractive microgrid markets in the world, so it’s no surprise to hear that ViZn Energy is eager to get a foothold in there. First of all, ViZn Energy states that its batteries are super safe, and that safety was a key focus from the beginning, and one reasons why they chose this technology over others early on in the technology planning. ”I can de-energize our battery in 15 seconds in case of any natural or man-made disaster,” Wilkins stated. They operate at ambient temperatures. They are not pressurized. And they are “closed loop” — meaning there is no potential for hazardous gases or waste by-products. 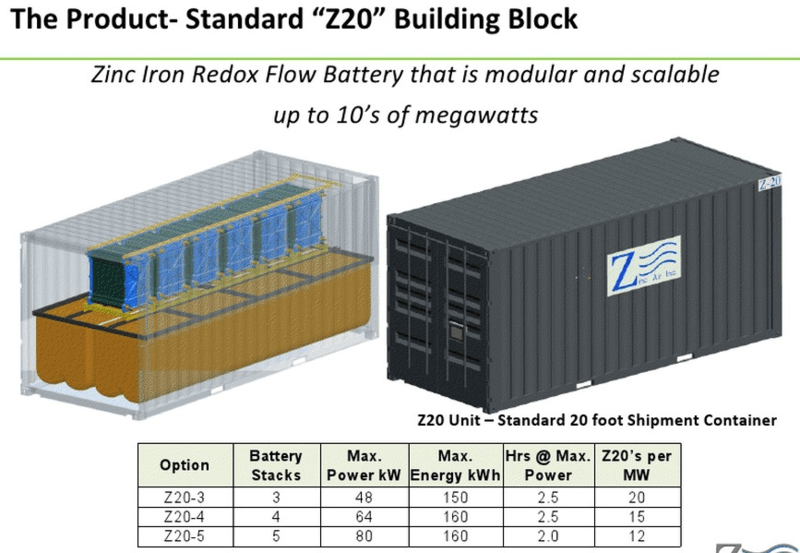 ViZn Energy is expecting this to be a 20-year battery. Before giving you readers the floor and seeing what you have to say in the comments below, one last thing worth noting, I think, is the current ViZn Energy team. The company has a pretty impressive Technical Board of Advisors and Business Board of Advisors. And I think its Management Team help to explain why. I’d encourage checking out everyone on the squad, but a few notes I’ll throw in here are that there are six PhD holders on the Technical Board of Advisors, and the company’s CTO (who holds a PhD in Chemistry from the University of Victoria) was previously Coda Automotive’s Vice President for Electrochemical Research (where he was responsible for cell research, quality, and safety). Prior to that, Dr. Ron Brost was with Ford Motor Company for 12 years ”as a Technical Expert and supervisor for multiple advanced battery technology teams that developed fuel cell, battery electric, and hybrid vehicle energy storage systems.” He was also the Chairman of Ford’s Fuel Cells Patent Committee for six years. Anyway, again, I recommend checking out the full ViZn Energy team if you are interested in learning more about this company.